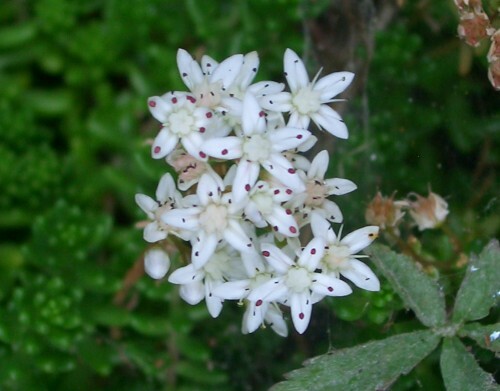 White Stonecrop is an evergreen alpine plant forming a thick mat of stems and leaves. It is suitable for planting in rock gardens. The leaves are fleshy green cylinders, succulent in nature. The white flowers appear in clusters, wide open on sunny days. The flowers are star-shaped with 5 petals with long stamens and red anthers. Stonecrops are common on stony mountain slopes in warmer areas of Europe.